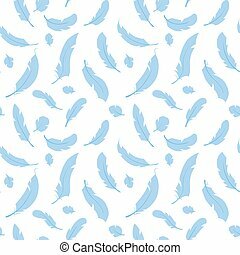 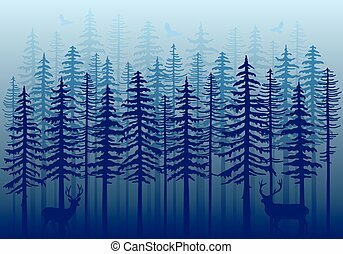 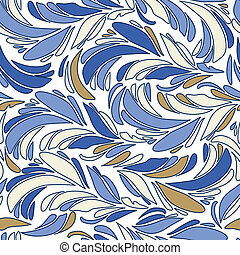 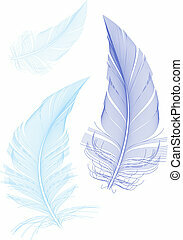 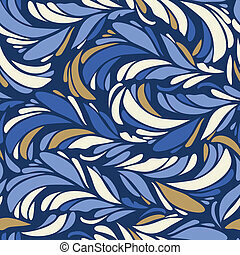 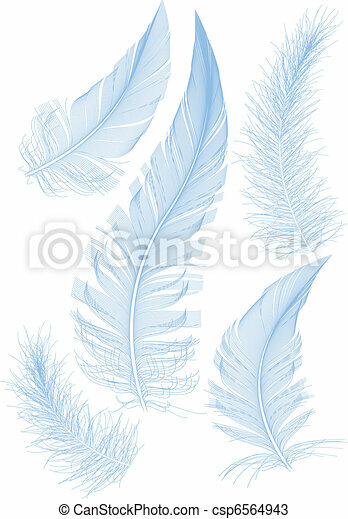 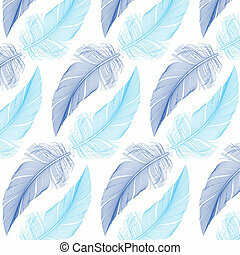 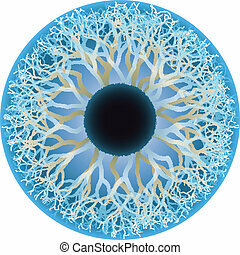 Blue vector feathers. 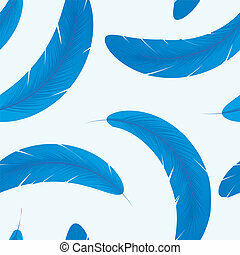 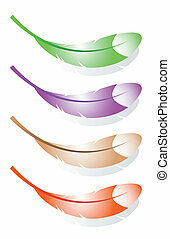 Set of smooth blue feathers, vector. 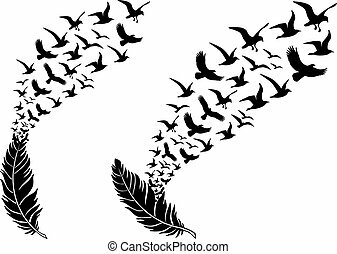 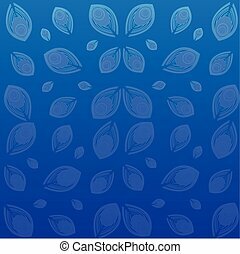 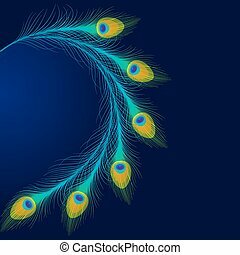 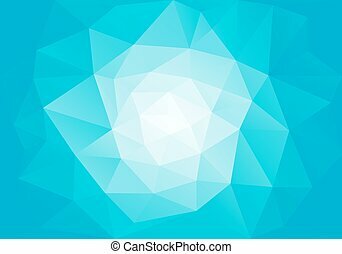 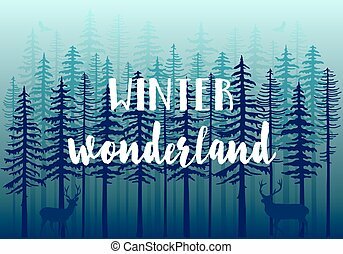 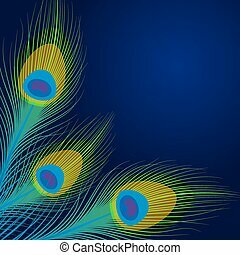 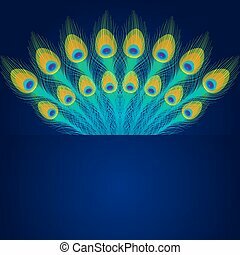 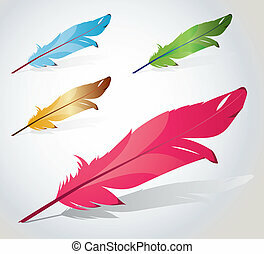 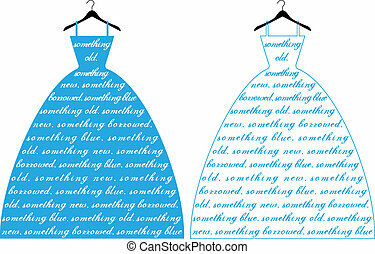 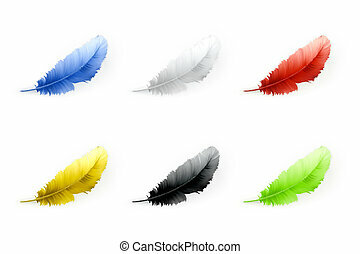 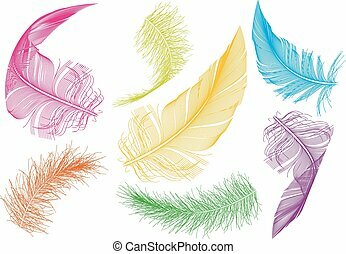 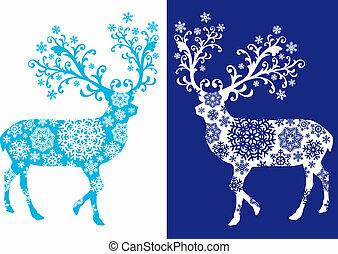 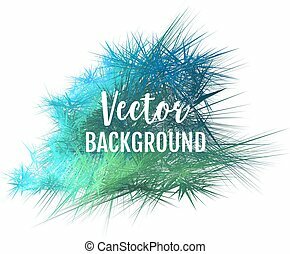 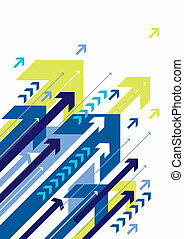 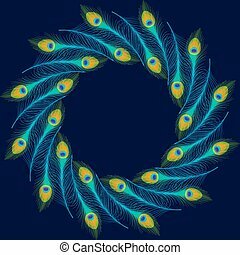 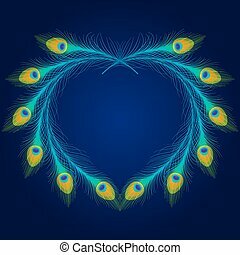 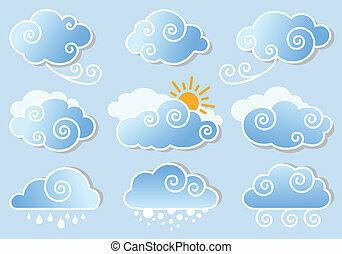 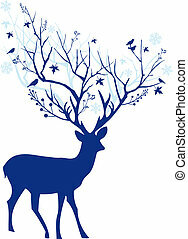 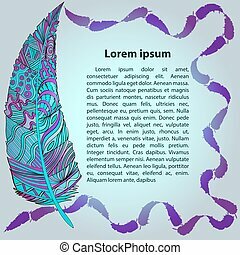 Vector peacock feathers on blue background with space for text.